This week we outline the Tax Working Group’s capital gains tax proposal and the implications for New Zealanders, our NZCPR Guest Commentator Dr Edward Hudson explains why the claims of growing inequality in New Zealand are wrong, and our poll asks whether you support the capital gains tax proposed by Jacinda Ardern’s Tax Working Group. Clive Bibby: News isn't news anymore - at least not the simple reported kind! Like most political junkies, waiting in anticipation of reading the conclusions in the US Special Counsel's report of his two year investigation into the Trump/Russia collusion issue, l fear that the detail will somehow be lost in translation or by deliberate attempts to distort the findings. Many of those with responsibility to report the truth are already second guessing the outcome and developing strategies to present their own version of the facts. That isn't journalism in its finest form. It is "sensationalism" bordering on deliberate misrepresentation that has no place on the front pages or in the news bulletins of the major media outlets. Sadly, it is what we have been dished up on a daily basis for the last two years and so perhaps we should expect more of the same. Both Theresa May’s government and the Labour Party leadership are now being threatened with a haemorrhage of their MPs. Both groups poised to revolt are posing as the beleaguered custodians of the centre ground which has been taken over by extremists in both parties. Yesterday, the government's Tax Working Group (TWG), headed by former Labour Finance Minister Sir Michael Cullen, presented its first Final Report. 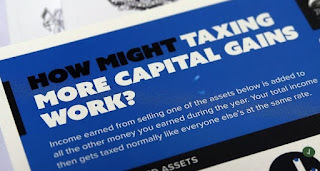 Pretty much what they said they would deliver was delivered so the government now has an "expert" report to justify their campaign to introduce a capital gains tax. Capital gains on the sale of investment property would be treated as income and taxed at a taxpayer's marginal rate of income (which in effect will be 33%). This is higher than the 15% rate Labour campaigned on, and would be the highest CGT rate in the world. As an offset, income tax will be reduced by extending the 10.5% tax rate band, which is expected to deliver an income tax cut worth between $420 and $595 a year to the majority of taxpayers. Investment asset values would not be adjusted for inflation. In effect tax would be payable on gains that are not "real". The family home, personal possessions and artwork will be exempt. Investment values would be taken from the date the tax comes into effect, which would be 1 April 2021. That would require all investment assets to be valued. In some cases there would be "rollover" relief, for example where the seller of a business reinvests in a similar business. So as part of the Prime Minister's ongoing dream of living in a land of lollipops, landholding and general kumbaya, we have the mechanism used by the Treasury to put a monetary value on everything, despite the common-sense fact you can't put a monetary value on everything. That's why they have sayings like "money can't buy experience", or that was "priceless". According to the Treasury, none of that's possible. This is, of course, for the so-called "wellbeing budget". It is an idealist's fantasy, it's the workings of hand wringers who need to be consoled by the concept that as a result of any given action someone bursts into a smile, or song, or both. 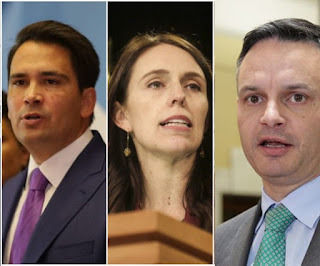 This week we examine Parliament’s first debate of 2019 and consider what the Prime Minister’s address, National’s response, and some dangerous ideas promoted by the Green Party tell us about the year ahead, our NZCPR Guest Commentator Justin Haskins explains that the Soviet-style Green New Deal – an extremist Democratic Party proposal that James Shaw praised in his speech and is clearly considering for New Zealand – would create economic chaos, and our poll asks whether you agree with Labour and the Greens that the 2017 election result showed a majority of New Zealanders voted for radical change. The Coalition Government is making solid progress on improving the wellbeing of New Zealanders and the Budget will outline further work, Finance Minister Grant Robertson enthused today. 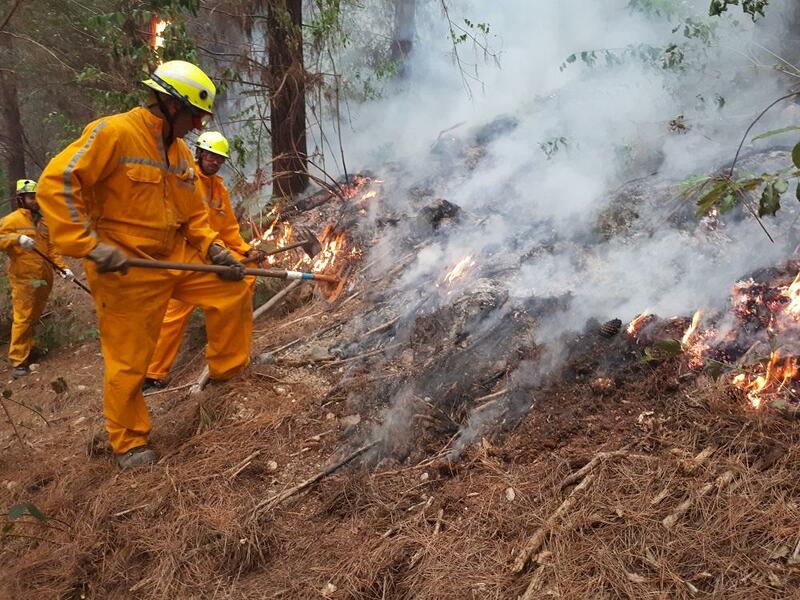 Responding to the Salvation Army’s State of the Nation report, he said “the scale of the challenge this Government inherited means that we won’t finish our work in one year”. Well, no. Jacinda Ardern said something similar in the Prime Minister’s statement, presented to Parliament yesterday. Only those with a vested interest in seeing prices higher are talking the Auckland market up at the moment. Of the independent commentators the optimists are expecting Auckland house prices to remain flat. Those with a less positive disposition are talking in terms of falls like Sydney and Melbourne where the decline from peak to trough is expected to be between 15% to 20% according to the ANZ. The EU’s Brexit negotiators (who appear to believe that until this moment their knuckle-dusters have been concealed) clearly think that now’s the moment to take off the gloves. Faced with Theresa May asking them ever so nicely to re-open negotiations to get rid of that troublesome Irish backstop, they have not only said no. They are reportedly now doubling down on their intransigence in the belief that this will force the Brits to come crawling back on their knees. There is the prospect of a ‘temporary no-deal’ scenario. This hypothesis — which is not without legal difficulties — would see both sides fail to secure a deal or agree an extension by March 29. The UK would then crash out into a period of severe disruption, a harsh dose of reality that some EU negotiators believe would force it back to the table, more willing to accept the original withdrawal deal and the backstop. Green Party MP Chloe Swarbrick chided the National Party on its drugs policy earlier this year but said she hoped its involvement in public debate was positive. 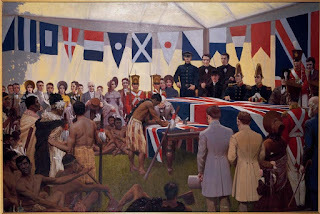 This week we review the funding promises that were made around Waitangi Day and explain why race-based initiative are not the answer to alleviating disadvantage, our NZCPR Guest Commentary is the speech that Dr Don Brash prepared but was not given the opportunity to deliver at Waitangi, and our poll asks whether you agree with Labour’s use of race-based funding. In a memorably pungent turn of phrase, former Maori Party co-leader Marama Fox said of Maori support for Labour in the 2017 election that it was like a battered wife going back to her abuser. Okay, she was bitter at Maori voters turning against her party. Sour grapes, her critics would have said. But you could see where she was coming from. Labour has traditionally commanded support from Maori, dating back to its alliance with the Ratana Church in 1936. Houses or shares, which is the best investment? This is a recurring question in New Zealand, although the two asset classes are difficult to compare because they have totally different characteristics, particularly in terms of leverage, maintenance costs and income flows. Nevertheless, the figures in the table show that New Zealand house prices appreciated 1.8 per cent in 2018 while Auckland prices rose by just 0.1 per cent. These figures are compiled by the Real Estate Institute of New Zealand (REINZ). 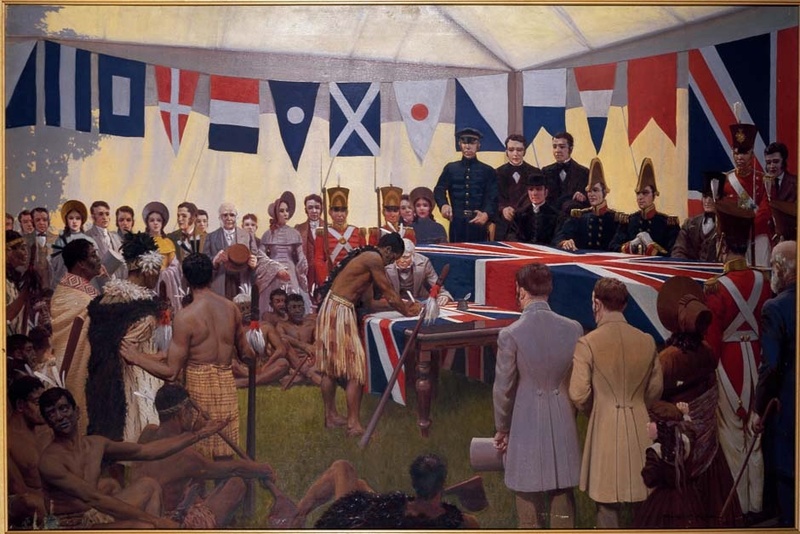 2019’s Waitangi commemorations will be mostly remembered for two debates – whether the Prime Minister should be able to recite the detail of the Treaty of Waitangi, and whether the teaching of the Treaty and colonial history in New Zealand should be compulsory. Tax has become a topic of hot debate. The precursor is the impending release of the first Final Report of the Tax Working Group (TWG), headed by former Labour Finance Minister, Sir Michael Cullen. That report is now with the Minister of Finance, Grant Robertson. It's pretty much a given that the report will recommend a capital gains tax (CGT); that was the brief given to the TWG by the Labour led government. It's the possible finer details that are attracting a lot of commentary, and criticism. Commentators are rightly pointing out the many practical limitations of a capital gains tax. Mostly ‘ordinary’ people on ‘ordinary’ incomes who can’t make ends meet. Their problem is that they’re too ‘ordinary’ to matter to today’s socioeconomic elite who are preoccupied with trendy social causes like getting more women and fashionable ethnics into high-salaried positions. The ‘yellow vest’ movement caught many by surprise. They were even more surprised when it became clear that this spontaneous uprising was no flash in the pan – despite lacking any central control and coordination, it went on and on.